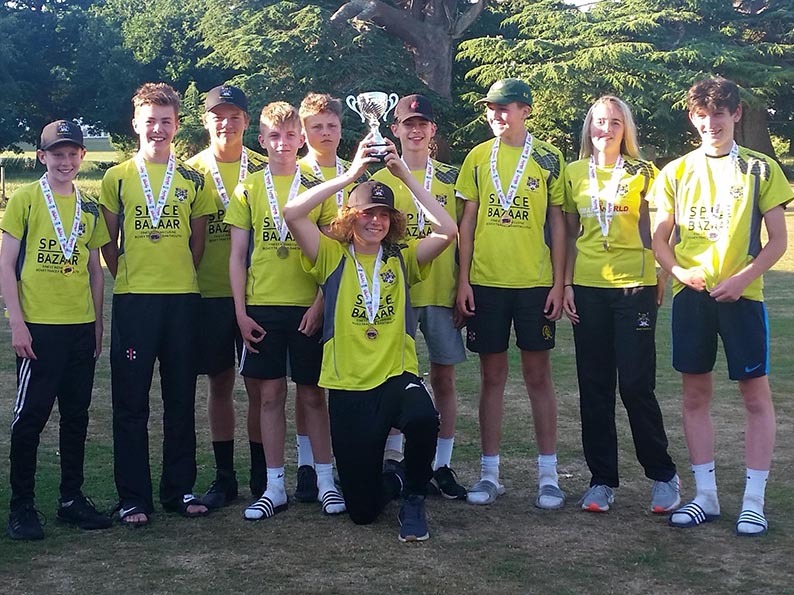 BOVEY Tracey are through to the national stages of the ECB U15 Cup after beating Plympton then Exeter at Shobrooke Park to win the Devon title. Plympton were dispatched in the semi-final by 15 runs to set up a showdown with Exeter, who had beaten North Devon in the other half of the draw. Bovey won in dramatic fashion against Exeter, scampering the winning run off the last ball of the game. It is Truro at home in the regional round for Bovey Tracey this Sunday (July 22). Can they emulate Exmouth, who went all the way to the national finals last season? Sam Russell was the only one of Bovey’s frontline batters to fire in the semi-final win over Plympton. He hit five fours and three sixes before being retired on 51. Run-outs and wickets for Elliot Hamilton (2-25) and Jake Agnew (2-22) slowed Bovey to 101 for six then 119 for eight. A last-wicket stand of 22 unbroken between tail-enders Jack Thorne (11no) and Jemma Ansley (7no) got Bovey to 141 for eight and proved crucial to the outcome of the game. Plympton fell behind the asking rate early as Bovey bowlers Ben Goble (1-17), Sam England (1-16) and Sam Harvey (2-11) kept the batters quiet. Ben Privett (20) had the only significant score in the top five. Agnew (22no) and Lloyd Attwill (29) put on 54 unbroken for the seventh wicket, but by then it was too late. Plympton were held to 126 for six and Bovey were through to the final. Exeter, who won the toss and chose to bat, made 136 for eight in their 20 overs. Oliver Cockram (40) and Luke Vukusic (37) were the main run getters. Goble (2-25) and England (0-12) bowled tidy four-over spells to help keep the lid on Exeter. Bovey’s prospects were not helped by the loss of captain Taylor Ingham-Hill, who sustained a suspected broken wrist while trying to prevent a boundary. Eddie Smout-Cooper, assumed the captaincy and excelled behind the sticks, taking three stumpings. With Ingham-Hill hors de combat, Bovey moved everyone one place up the batting order and cracked on! Russell opened up and was retired again after reaching his second half-century of the day. Goble kept the team up with the run rate before being run out on 33. The asking rate started to climb and at the start of the final over Bovey needed 12 to win with four wickets intact and Sam Harvey batting with Thorne on strike. The over went dot, four, two, four, one, levelling the scores with a ball to go and Harvey facing the final delivery. “With nerves of steel, Sam Harvey faced the final ball and the pair ran the winning run to take us through to the next round,” said Tina.